This fisherman's hut was first exhibited, and critically acclaimed, at the Bahrain Pavilion at the 2010 Venice Biennale. 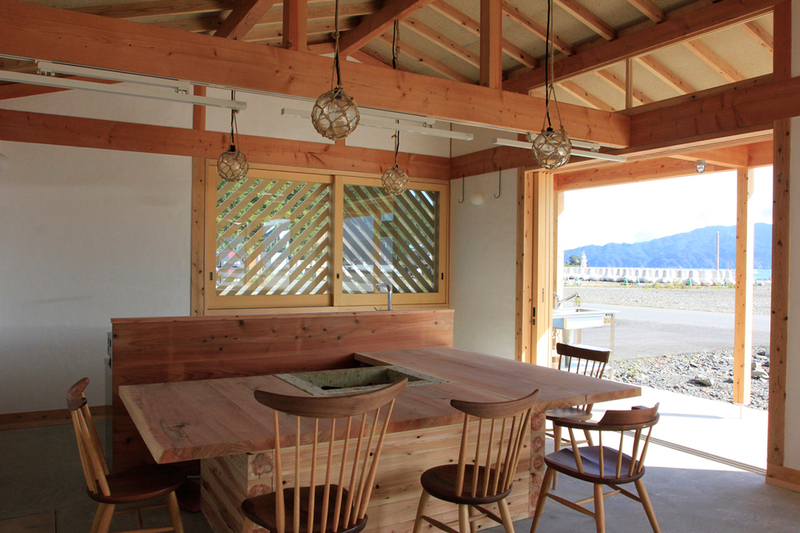 After the 2011 tsunami in Kamaishi, buildings were needed to revitalise the Kamaishi local fishing industry and it was suggested that the Bahrain fisherman's hut, a simple wooden structure, could easily be rebuilt in Japan. In Bahrain the huts are designed to float, however the architects proposed that in Kamaishi the hut should built on solid ground enabling it to provide warmth for the fishermen in winter. 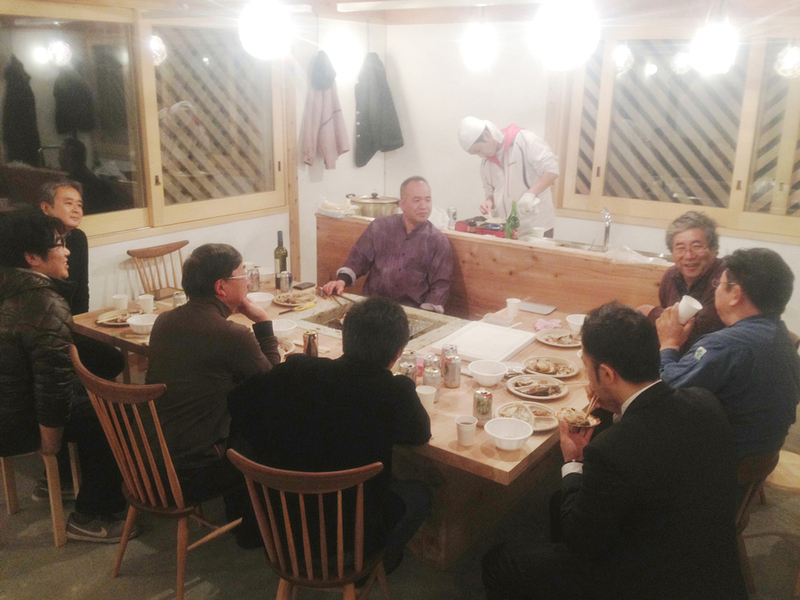 The local fisherman loved the idea and agreed to the construction of the Bahrain fisherman's hut in Kamaishi. 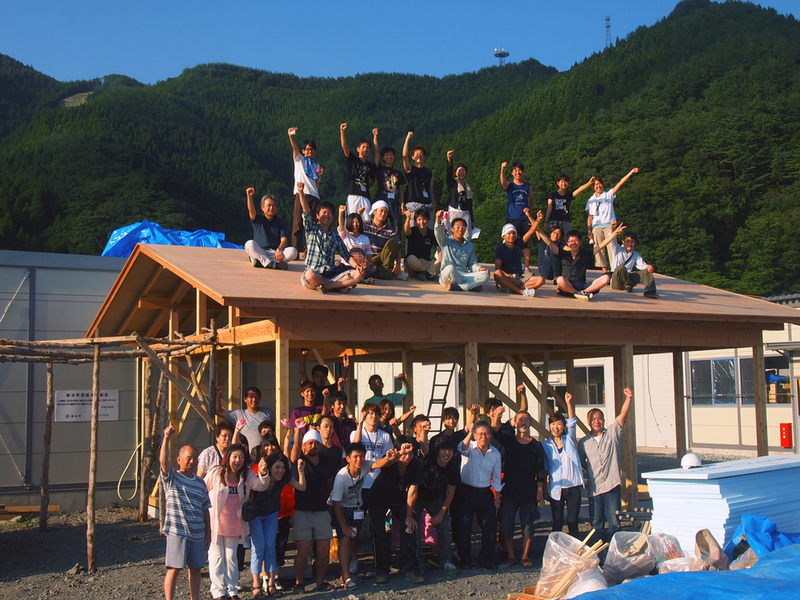 Volunteers from all over the country as well as locals came together to help construct this rustic hut which was built with as many local materials as possible - the outer walls are painted Kamaishi soil, the roof is made from peeled cedar bark, the stove and hearth was made in Kamashi etc. 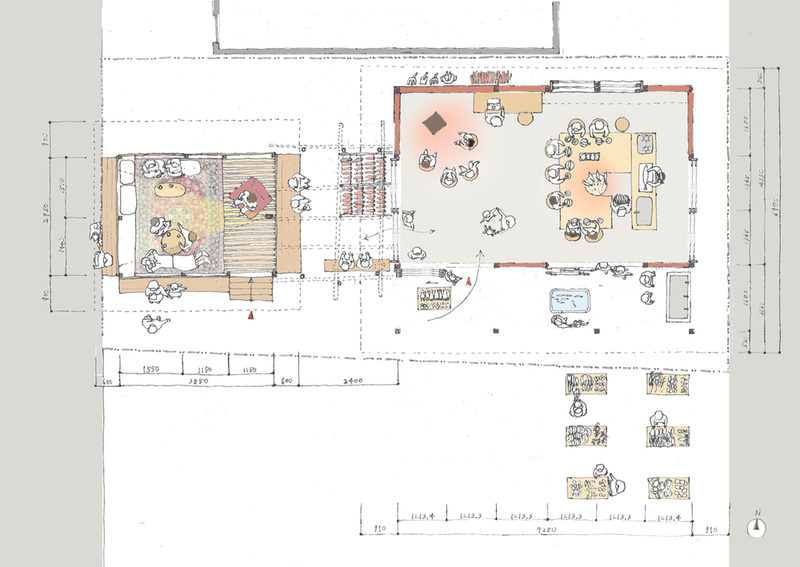 With this project it was possible to employ a new approach to construction due to the unusual origin of the structure. Throughout construction, the process of building in relation to the everyday usage of the hut was discussed carefully with the local young fishermen. It is hoped that this building can provide an opportunity to think carefully about things often overlooked and to teach future generations about the ocean.